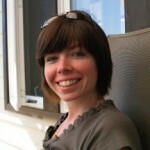 Jill Fellows earned her PhD in Philosophy at the University of British Columbia under the supervision of Dr. Alan Richardson. Her dissertation, entitled “Making Up Knowers: Objectivity and Categories of Epistemic Subjects” explored and defended the ideal of objectivity against those who see it as a useless and harmful ideal for seekers of knowledge to hold. She is currently researching issues of testimony and trust between scientists and non-scientists. She hopes to understand how to build trusting relationships between communities where knowledge cannot easily be shared. She received her MA in Philosophy at the University of Calgary where she wrote a thesis on Personal Identity with reference to Alzheimer’s Disease and Dissociative Identity Disorder under the supervision of Dr. Brian Grant. Her BA was also in Philosophy, with a minor in Anthropology. She comes to UBC’s Arts One program after teaching at Quest University in Squamish B.C. for three years as a visiting faculty member. Quest University designs all its courses on an interdisciplinary model. Jill enjoys teaching in an interdisciplinary environment. She welcomes the challenge of exploring other disciplines with students and the opportunity to learn from colleagues with diverse academic backgrounds. When not preoccupied by philosophical questions, Jill enjoys hiking, yoga, playing three-chord songs on her guitar (badly), and reading Terry Pratchett novels.